These powerful firewall appliances offer 1U performance with a desktop form factor and price. If you have a small – mid sized business or branch offices to protect, these models are the ideal choice. 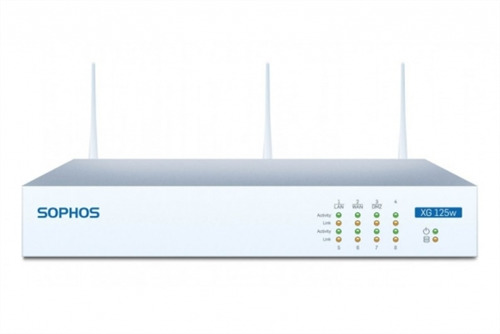 This model has integrated 802.11ac wireless LAN for optimal coverage and connectivity for your mobile workers. Built upon the latest Intel architecture, Sophos software makes optimal use of the multi-core technology to provide excellent throughput for all your key processes. These models come equipped with 8 GbE copper ports built-in, plus 1 SFP port, e.g. for use with our optional DSL modem or an SFP Fiber transceiver to connect the device to a server or switch. An expansion bay provides the option to add additional connectivity such as our 3G/4G module. An optional second power supply ensures business continuity for these models.